Summer is approaching and the air conditioning unit in your car may or may not be charged properly. Chances are you haven’t run it since last summer and there could be some general maintenance needed. Freon, the cooling element in air conditioning units can run out if overused, or even leak slowly after sitting for too long. Washington State isn’t known for its hot weather, but the few weeks a month that it is hot, it can be extremely uncomfortable. Redmond has plenty of water surrounding it, from Bear Creek to Lake Sammamish, and the Sammamish Slough. These bodies of water and cause additional humidity in Redmond and if you do not have your AC units cranking at full charge, you may be miserable this summer. Our air conditioning services are the ultimate solution for anyone looking for affordable, quality, air conditioning repair in Redmond. We provide full service and repair for compressors and check for leaks. You can expect the best full-service checkup in Redmond. Our AC checkup consists of the following. Summer months come and go quickly in Washington State. You definitely spend more months not using your air conditioning system than months that you do. So during the offseason, what can you do to make sure that the unit will be functioning properly when summer hits? Here are a few tips to take into consideration. • Run the ac system once a month to keep to keep fluids flowing and things lubricated. The pump, hoses, and valves benefit from the system running. It’s easy enough and can also prevent hoses from drying out and cracking. Probably more of an issue for people in Eastern Washington than people in Redmond. • If you have your car in the shop for something unrelated, ask your mechanic to take a peak and make sure freon levels are good and things are functioning.An ac checkup isn’t typically included in general service procedures so you will need to ask, and there is always the chance that they will want to charge you so make sure you ask about cost. • Before the summer kicks off, get an AC checkup. Better safe than sorry. This is especially true if you travel with children frequently during the summer months. Redmond isn’t Phoenix, so you don’t have to worry about extreme heat, but it still get’s warm enough to warrant a checkup before summer kicks off. At KD Automotive we specialize in the maintenance and repair of automotive vehicles in Redmond Washington. Our team of certified technicians are the best auto repair mechanics here on the East Side. Many of our clients bring their vehicles into our shop from as far away as Woodinville and Bellevue. We pride our selves on honest quotes and no hassle repairs. As Washington natives, we have many friends and family members in the area that rely on our expertise to keep their vehicles running and their families safe. Referral business from these relationships has been a big part of our growth over the years and we are extremely grateful for the honest reviews and referrals we have received both online and in person. As our business has grown so has our shop. We have expanded into the garages next to us that were previously occupied by other automotive industries including Mark’s Japanese Auto Repair and AAA Radiator which are both closed. As we continue to expand our garage, our services, and the capacity in which we operate, we will be adding more mechanics and technology to help provide our customers with the most valuable repair solutions in Redmond. Here are some of the services we currently are offering at KD Automotive. We are committed to making Redmond an even better community than it already is. With amazing families moving into the area monthly and helping to make Redmond a safe and respectful place to raise families, it is our commitment to you that through honest business practices, ethical automotive repair, and the best group of Redmond mechanics around, we will be your go-to automotive repair team for years to come. We hope to earn your trust and become your preferred auto repair shop in Redmond. It is also our goal to continue maintaining and repairing vehicles for your children as they grow into adults, making us a true family repair shop. 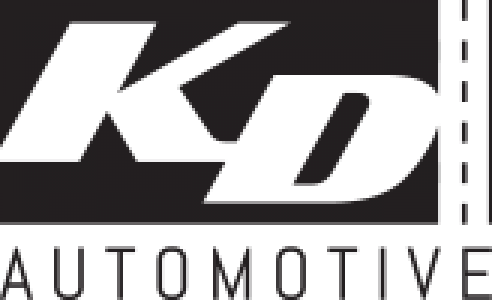 KD Automotive was founded by Pro 3 race car driver Kevin Doyle and is located in Redmond, Washington. The shop is managed by lifelong Redmond resident and professional mechanic Jason Lucas. Together, Kevin and Jason run the daily operations at KD Automotive and work together to make sure their vision of a family-friendly, ethical, honest, automotive repair shop is the same experience for each customer that brings their automobile in for repair. It is our long-term goal to continue to expand our shop and add additional bay doors to facilitate the maintenance and repair of more vehicles. As technology advances and vehicles evolve into battery generated modes of transportation we want to make sure our facility evolves with it and is prepared to services and maintain the new wave of vehicles that will be released in the future. We would also like to build KD Automotive into the Redmond repair shop that the city relies on for quality, honest, repair services. Note: If you are an existing client and are here as a result of our New Years email blast welcome! If you have never been to our shop and stumbled across this randomly, then welcome. We will be submitting blog posts here regularly. Hope you enjoy. Cheers! Your car is a major investment. You rely on it to get you to and from work, around Redmond, running errands and even for long trips across Washington. Like any other major investment, it is important to take care of your car, especially when it comes to maintenance. While most people know that the ar manufacturer recommends changing the oil in your car every 3000 miles, most of us take the car for granted and push it a few more miles. Sometimes, you even forget when you last changed your oil, and you just keep putting it off until you can find a more convenient time. These habits, however innocuous, can spell disaster for your car’s engine. An oil change generally only takes about 20 minutes to do and only costs a few cans of oil. Or, if you don’t want to change the oil yourself, you can either take it to your dealership or stop by KD Automotive for a quick oil change. Generally, you are in and out of here and the cost is not a hit to the pocketbook, plus it will save you money in the long run, especially if your car develops problems from not having the oil changed regularly. If you wait too long, the costs will be enormous to fix the engine, so it is worth taking care of right away. In addition to saving you money to fix your car later, there are several benefits to changing your oil on a regular basis. Not only does clean oil keep your engine healthy, it also improves your gas mileage by lubricating its parts to help it run more efficiently. New oil keeps sludge and gunk from building up in your engine which can lead to corrosion and shorten your engine’s lifespan. The dirtier your oil, the harder your engine has to work, and nobody wants to be broken down in downtown Redmond in the middle of the rain because they didn’t change their oil. There are some telltale signs your car may be sending you about when it is time to change the oil, including the color of the oil itself. When first added to your engine, the oil should be a honey color; as it ages it becomes darker. If you see particles in the dark oil, it is time to change it so the oil filter doesn’t become clogged. You might also feel your car running a little rougher than usual. If so, it might be rectified by something as changing out the oil. The noises you are hearing might be from lack of lubrication, so throwing some new oil in may do the trick. Depending on the age and type of car you drive, you should have a light on your dashboard that indicates when your oil needs to be changed. If you feel you are changing it a lot based on this light, you may have an oil leak you need to address. Otherwise, this light will go on when the engine indicates it needs a change. While it is easy to ignore this light, you should listen to your vehicle. You can always check the oil level with the dipstick to check its consistency and its levels. For your engine’s sake, keep track of your oil changes and when the next one is due. If you drive about the same number of miles each month, you might be able to gauge when you will need another change. If you commute to Seattle and back every day you will need to change your oil more frequently than a commuter that works at Microsoft in Redmond. Or, you can watch your odometer and make sure you take it in every 3000 miles or so. As a rule of thumb, checking on your oil every other time you fill up will keep you educated on your car’s maintenance. Make sure to check it when the engine has cooled so as not to burn yourself with hot oil. Remember that sticking to a schedule of oil changes will help to prolong the life of your car. Checking your oil is easy, and it is a good way to learn about your car’s engine. To check your oil, make sure you are on a flat surface and turn off your engine. When you open the car’s hood, make sure the engine has had the chance to cool off. If the car has a dipstick, you can remove it from the engine. Some newer cars rely on an electronic oil level gauge which will tell you the exact level of your oil. When using the dipstick, wipe it off with a paper towel and insert it back into its hole in the engine. The dipstick will indicate if you have enough oil, or if it is dirty and needs to be changed. Most gas stations in Redmond have a paper towel dispenser near the gas pumps. take a few minutes next time you are there and check your oil if you think it might be time. Proper maintenance is the key to keeping your car running great. It is important to understand your engine and how it functions to maintain it properly. The oil works to lubricate the engine and draw heat away from the engine, as well. As the oil makes its way through your engine, it picks up dust, dirt, and contaminants which causes it to lose its effectiveness. If you don’t change the oil when it is dirty or low, your engine will get too hot, and its parts will wear out quicker. Without the lubrication of the clean oil, the parts will rub against one another, causing friction and putting undue stress on the components of the engine. An engine that never has an oil change will eventually just seize up and stop working altogether—a very costly side effect of not being proactive with oil changes! At this point, you will either have to replace the engine or the car. While it is easy to procrastinate when having to change your oil, it is one of the easiest and least expensive maintenance items for your car’s engine. If you find your car is running hot (even in the Washington rain), making unusual noises or seems sluggish, the answer could be as easy as an oil change. Maintaining your engine should be a priority for any Redmond car owner and it is not difficult or expensive if you are diligent about your car. Remember, you rely on your car to make sure your car can rely on you! As a family-owned and family-operated business, KD Automotive has been serving the local Redmond community since 2008.
shop has all of your needs covered. If your vehicle is well maintained, it is more reliable, it is more fuel efficient and it also will last longer. In turn, this means you make far more of any investment that you make in a vehicle. At KD Automotive, our expert technicians have been well trained so that they can professionally carry out services that involve diagnostic and repairs on every make and model of car and light-duty van. Plus, we are well versed in handling maintenance services that are factory recommended, too. Anything from relatively basic and routine maintenance such as tire rotations and oil changes, through to repairs that are wear-related like brake repairs, exhausts and mufflers, suspension and steering repairs, and KD Automotive is a business that you can rely on. Redmond, WA 98052 informative and completely hassle free. From the hydraulic brake fluid to the brake pedal, from the power brake booster to the brake master cylinder, from disc brakes to drum brakes, our KD Automotive technicians understand every aspect of your auto’s brake system. We can make repairs on any type of car brakes and on any make and model of car. Oil can be considered as the blood of your vehicle’s engine. Oil serves in reducing friction, it provides lubrication and lessens wear. Oil makes a seal between the pistons, the cylinders and the walls of the rings, while also assisting to cool many engine parts. If you don’t change your oil frequently, varnish and carbon buildup becomes a toxic factor for your engine. Our technicians at KD Automotive will make an inspection of your vehicle’s tires. They will rotate and also balance your tires depending on the vehicle manufacturer’s schedule. When your vehicle’s tires need to be replaced, we will make a determination of the right kind and size of tire that’s required and we’ll also install them properly. There will be a time when your vehicle’s coolant hoses, timing belts and drive belts will become dry and begin to crack. Through a regular inspection regime as well as timely hose and belt replacement, it will help to protect against breakdowns and costly repairs. At KD Automotive, because we use state-of-the-art diagnostic equipment, our technicians can maintain or make repairs to your car’s suspension, steering and wheel alignment. We will inspect the blades of your windshield wipers, we’ll check out your headlamps, your brake lights and your turn signals, and we will also fill up the washer fluid so that your windshield remains crystal clear even in the harshest weather.